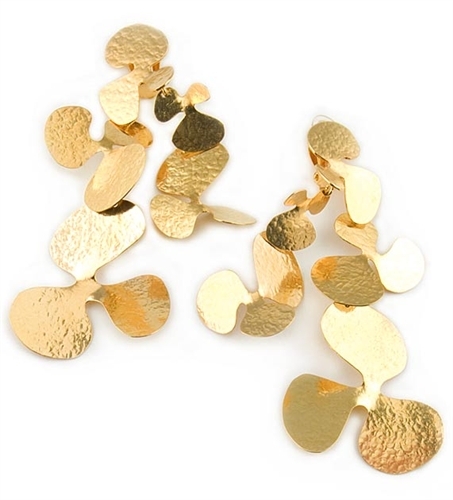 24karat gold vermeil clip earrings by Herve Van Der Straeten. This striking pair of earrings features two rows of different size abstract flower shapes, all dangling for a flower post. Earrings measure 10.8cm (4.2"). in length and have a clip back.